A powerful training log for your runs done with Apple Watch. View all your runs aggregated on one graph by week or month. Detect and understand training strain patterns by viewing day-to-day intensity on a calendar. Know your average training metrics and monitor current trends. Visualize pace and heart rate performance during a run. Log and tag more insights about every run – race report, nutrition, route details, and so on. Built with privacy as a core principle, Tempo has zero ads. That means your data is yours; we will never claim it, sell it, or share it with anyone. Pro features are only available with premium subscription. You are also welcome to try pro features with a free trial. “ If you use your Apple Watch for your runs, you absolutely need this app. It does such a great job at organizing and logging all the run workouts you perform. It takes away all the fluff that other apps get clogged up with and focuses on the information that matters. This is a must have for runners. 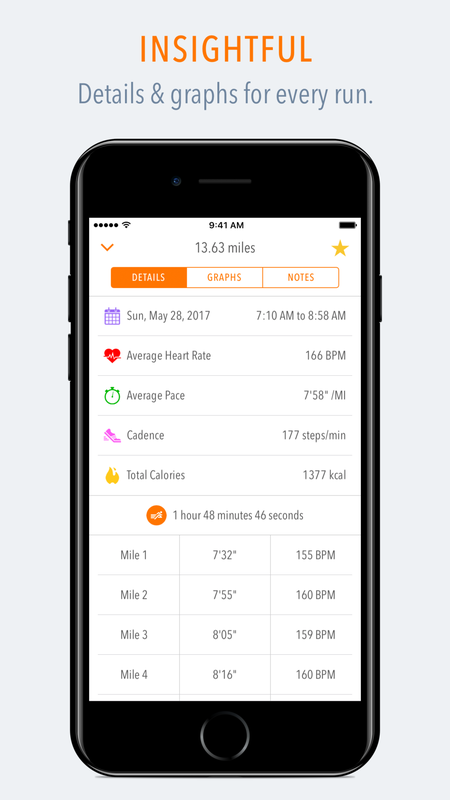 “ Tempo is different from other running log apps. It is not designed to collect your data to send off to a third party or share it with social networks. If you are a runner and you use an Apple Watch, it pulls the data from the Workout app and Apple Health to provide you with a detailed analysis of your runs. All this is done on your iPhone and is kept private. While being immensely practical, it is also a beautiful app. If you are a runner and have an Apple Watch it is the perfect companion. ©2016 Indie Computing Labs, LLC.